Get fresh new music from DJ Xclusive ft. Duncan Mighty – Gimme Love out now! 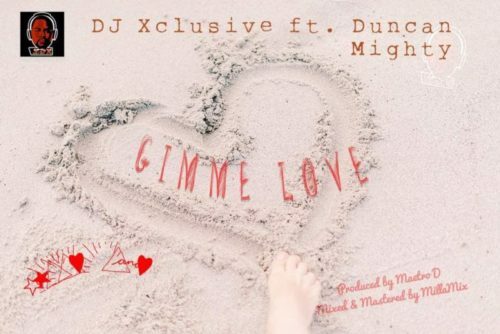 Everyone wants a piece of Duncan Mighty on their new music, Superstar DJ Xclusive joins the trend as he features Port Harcourt first son on “Gimme Love“. As would be expected Duncan Mighty murders the Maetro D produced beats with some catchy melodies and ad libs. “Gimme Love” is produced by Maetro D and mixed and mastered by MillaMix. Listen and enjoy DJ Xclusive ft. Duncan Mighty – Gimme Love.